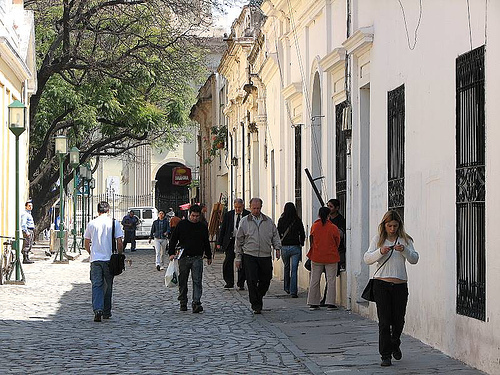 Córdoba is the second largest city in Argentina, home to approximately 1.6 million residents. The city is also a major center for foreign trade as well as home to several universities, and thus home to students from around the country. Although not as exciting as Buenos Aires, Córdoba does have the charms of a mid-sized city and is a great escape from the traffic and craziness of BA. It’s also located just 1 1/2 hours from the Sierras Chicas and tons of outdoor activities. Córdoba is a province in central Argentina, bounded by Catamarca and Santiago del Estero to the north; by Santa Fe and Buenos Aires to the east; by Buenos Aires and La Pampa to the south; and San Luis, La Rioja and Catamarca to the west. By bus, Córdoba (the capital city of the province) is about 10-11 hours. By plane, the trip is about one hour and 15 minutes. The eastern part of the province is made up of the flat pampas landscapes, while the western part of the province contains the Sierras Chicas mountain range and myriad charming villages. This page rendered in 0.87 seconds.